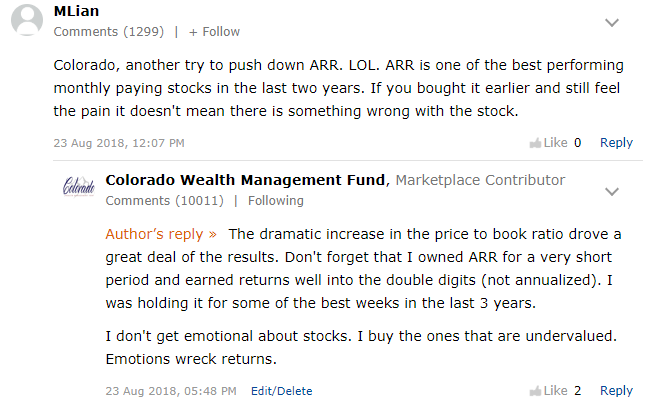 ARR has been one of our most frequent bearish calls. 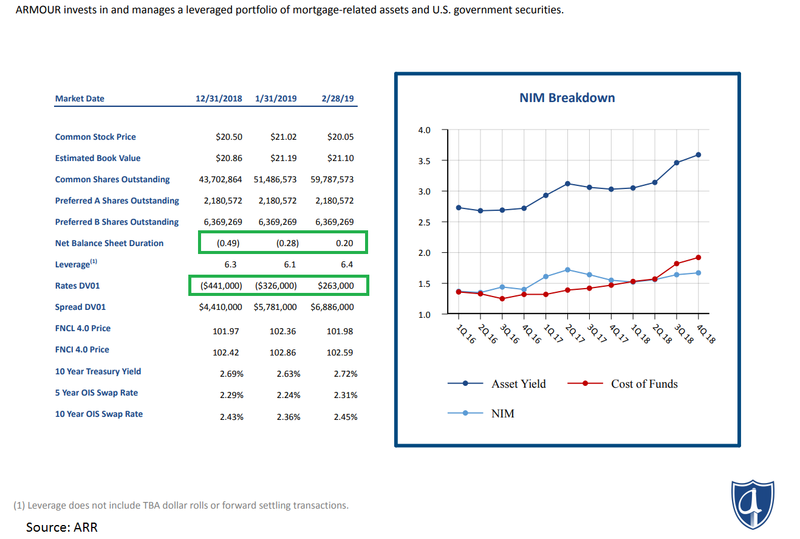 The common shares of mortgage REITs are built for trading. Investors who want a high yield and a stable price should look to the preferred shares. Following ARR's catastrophes, we are upgrading shares to a neutral rating. The thing that pains me about mortgage REITs is seeing how many investors and analysts just give up. They might start with all the best intentions for doing due diligence, but the complications of mortgage REITs can easily leave investors pulling their hair out and screaming that it is impossible to know what is happening. Unfortunately, that conclusion is entirely wrong. It is possible to know what is happening and to forecast it as it happens. When you combine knowing precisely what is happening in the interest rate environment, you can forecast changes to book value and earnings and compare it to changes in the share price. The advantage this technique produces should be similar to counting cards in a game of blackjack. There is one major difference though; watching these developments in mREITs is perfectly legal. This is the very definition of strong analysis for a mortgage REIT. Instead of finding out all the tricks to reading through the mortgage REITs, many investors and analysts end up doing a poor job and accepting poor results because they weren't willing to dig deep enough. 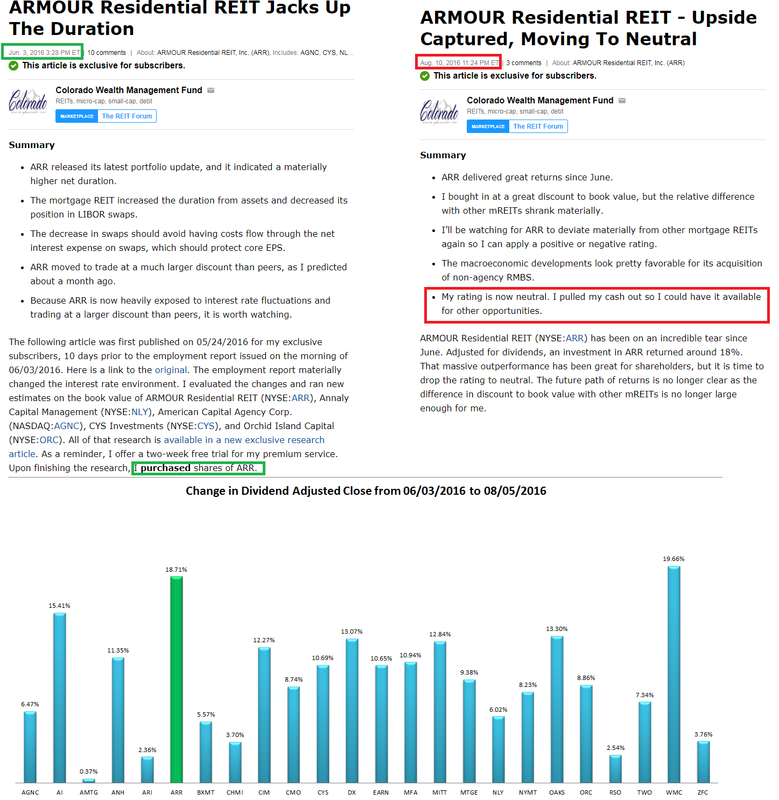 ARMOUR Residential REIT (ARR) has been one of our most frequent bearish calls. We regularly projected shares to decline over the last few years. We believed the mortgage REIT would eventually revert back to trading at a material discount to book value. That’s precisely what we’ve witnessed. 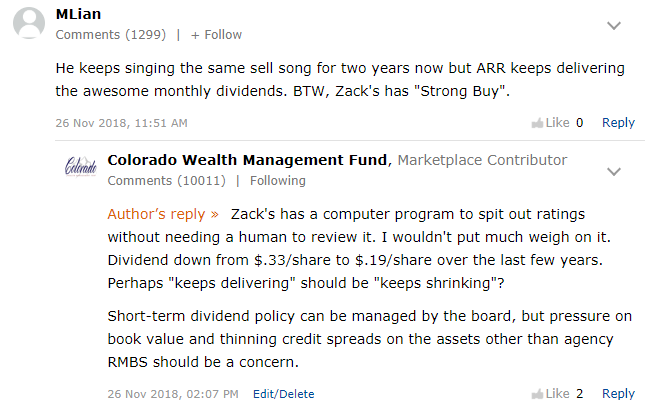 With shares trading around a price-to-estimated-current-tangible-book-value of .93, we see a reasonable valuation for setting ARR to a neutral rating. The higher net balance sheet duration was a clear positive going into March as rates dropped materially. However, the term “Net Balance Sheet Duration” is specifically referencing the balance sheet. That is important because ARR often holds a material portion of their portfolio in TBA (To Be Announced) securities. 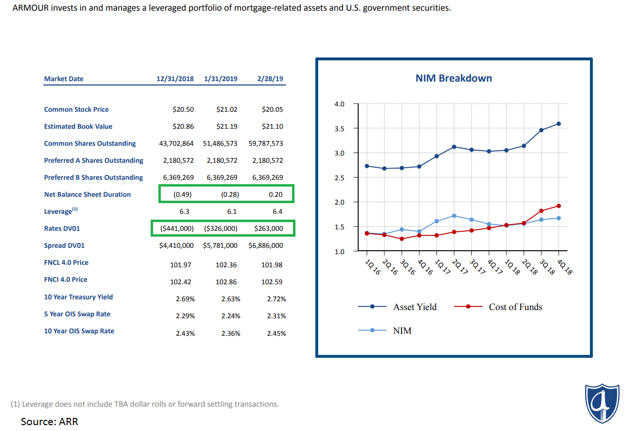 A position in TBAs is similar to simply holding additional fixed-rate agency RMBS (Residential Mortgage-Backed Securities), but it isn’t carried “on the balance sheet”. The position shrank slightly, but not enough to be material. Therefore, we believe ARR’s position heading into March was quite reasonable. This could be a positive surprise for the market. 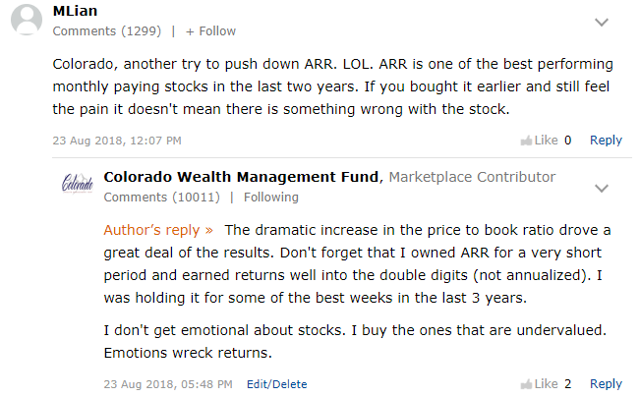 With ARR trading around a 7% discount to our estimate of current book value, we think our bearish outlooks have lasted long enough. We are switching to a neutral outlook. We've occasionally been criticized for "always being a bear" on ARR. We don't mind that distinction, because it means we were consistently correct. Despite that accuracy, ARR's monthly dividend has endeared it to some investors. They refuse to see the capital loss because of the yield. We're comparing results for ARR against AGNC Investment Corp. (AGNC), MFA Financial (MFA), Annaly Capital Management (NLY), Two Harbors (TWO), and Chimera Investment Corp. (CIM). You can easily spot ARR in each upcoming chart because they have an orange line every time. If you're having trouble finding the orange line, just look closer to the bottom. When Should Investors Buy Shares? We need to start that discussion with a reminder that the common shares of mortgage REITs are built for trading. Investors who want a high yield and a stable price should look to the preferred shares. However, we have found opportunities to buy ARR as well. Those opportunities just haven't occurred in the last few years. For years we've been following the same simple principles in predicting the change in valuation. The technique has been consistently correct over the long term. There were months within those periods where we appeared to be wrong, but eventually, the market would come around. We're using price-to-book value ratios, but we aren't waiting for the book value to be announced. Instead, we rely on modeling the book value throughout the quarter. That gives us better insight into the changes as they happen, rather than waiting for the latest data from management. This is precisely the technique we suggest using for any residential mortgage REITs. 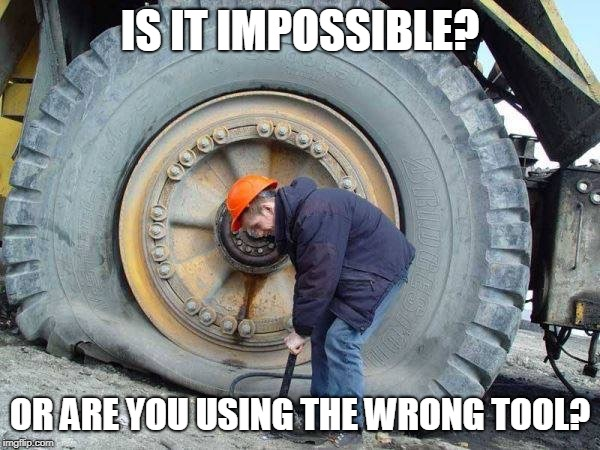 It is also the technique we follow. Trying to create a prediction several years in advance for a mortgage REIT requires betting on what will happen with interest rates and how management of a REIT may change the portfolio over time. Shorter time frames allow the investor to focus on what has happened so far and to act on it before the next major data release. 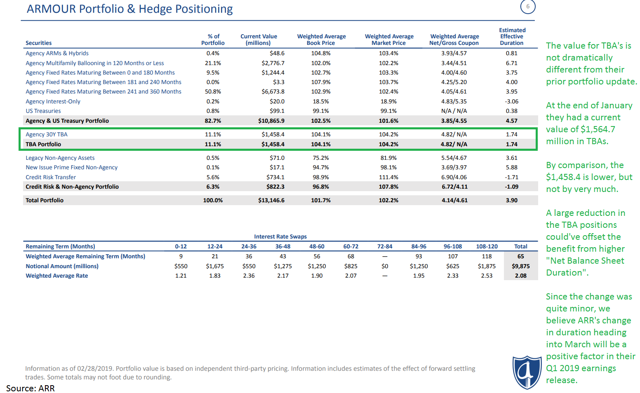 In prior periods, ARR's price-to-book value was high in isolation (too close to 1.00, or even higher) and it was too high relative to peers. That problem has finally corrected itself, so we are happy to pull off the bearish rating and replace it with a neutral rating. Not all investors are created equal. At The REIT Forum, we recognize that. That’s why we offer REIT ideas and strategies for every type of investor. Want a simple, low-risk strategy that still delivers sector-beating performance? Check out our Safe Income Portfolio. We also offer preferred shares coverage, along with a deeper dive into the common shares of individual stocks. What’s more, we give you a bird’s-eye view into our own portfolio, more than 90% of which is invested in REITs, preferred shares and cash intended to invest REITs and preferreds. Take a closer look at the #1 destination for REIT investors. Disclosure: I am/we are long MFA-B. I wrote this article myself, and it expresses my own opinions. I am not receiving compensation for it (other than from Seeking Alpha). I have no business relationship with any company whose stock is mentioned in this article.